Presentation from John Barrett and Scott Votey about 516 NOW. The group is performing missionary work in Palacaquina, Nicaragua. They are providing language training, micro-finance loans, improved health care. 516 NOW is inviting cyclists to visit Nicaragua, performing community service, riding back and forth to the work locations. The bikes are donated to needy people at the end of the trip. The next trip is being planned for January, 2019. Dave Coggins, Safety Update: Ride for Safety will be July 4th. Safety socks will be ordered in the next week. This year, the ride will be from Lake Blalok. Manning Lynch: Manning is running for County Council Chairman to replace Jeff Horton. Manning would give cyclists a louder voice. 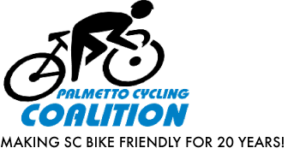 Inman Library will host a bicycle repair clinic on 9/16/18. Safety committee will make larger signs for the start of AOMM. New socks for 2018 Safety Ride on 7/4/18. Paul, PCC update: Complete Streets policy…our streets should be useable by everyone. 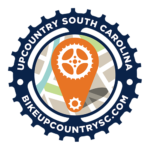 Trying to convince SCDOT to adopt Complete Streets policy. Ride of Silence is on Wednesday, May 16th. Same route as other years. 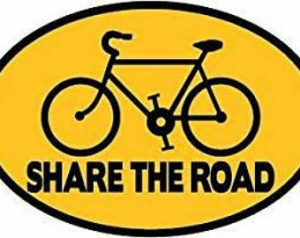 Bearden Josey Women’s team is leading a ride on Saturday, May 12 at 9:00 am. All women are welcome. Register this week and get a goody bag. Distances: 10 miles and 25 miles. Larry Hart: FW has $90,120 in the accounts. Jennifer Britanisky in absentia: The club has 192 members (combining single and family members).